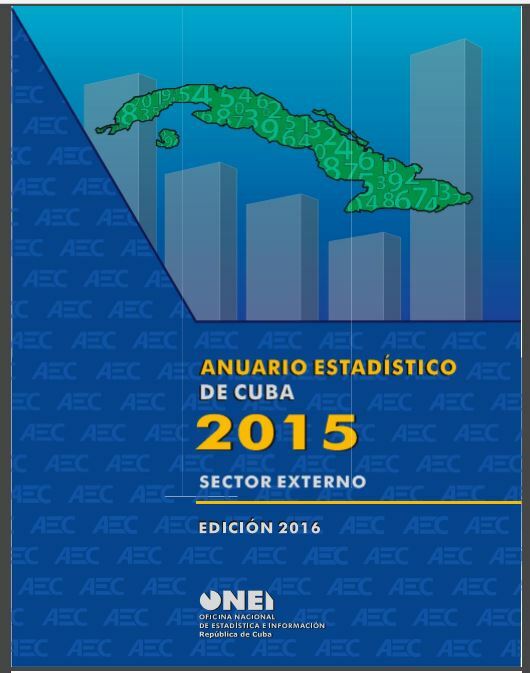 Attached are the Chapters of the ANUARIO ESTADISTICO DE CUBA 2015 on the National Accounts and the External Sector. 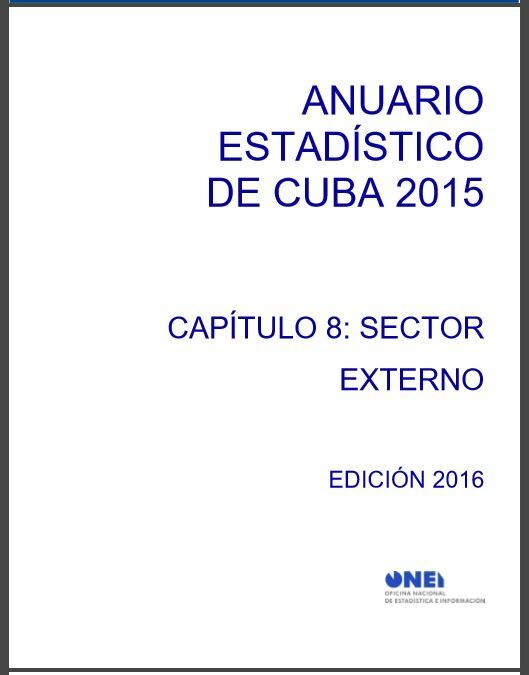 The Chapter of the ONEI Anuario on the External Sector includes information up to and including 2015, data that has not been available for the last few years. These are not yet up on the ONEI web site but were sent by Dr. Jose Luis Rodriguez, Minister of Economics and Planning from 1998-2009. Attached here is the complete document.